The options in this tab allow you to add information about the invoice that will transfer directly to the Weekly Accomplishment. Add the hostess name (must be typed exactly to link together) to each invoice to summarize under the hostess' name on the Weekly Accomplishment sheet. Enter information in Time Spent, Guests, Bookings, Basics, Interviews and New recruits on one invoice only. Otherwise the information will be duplicated on the Weekly Accomplishment Sheet. 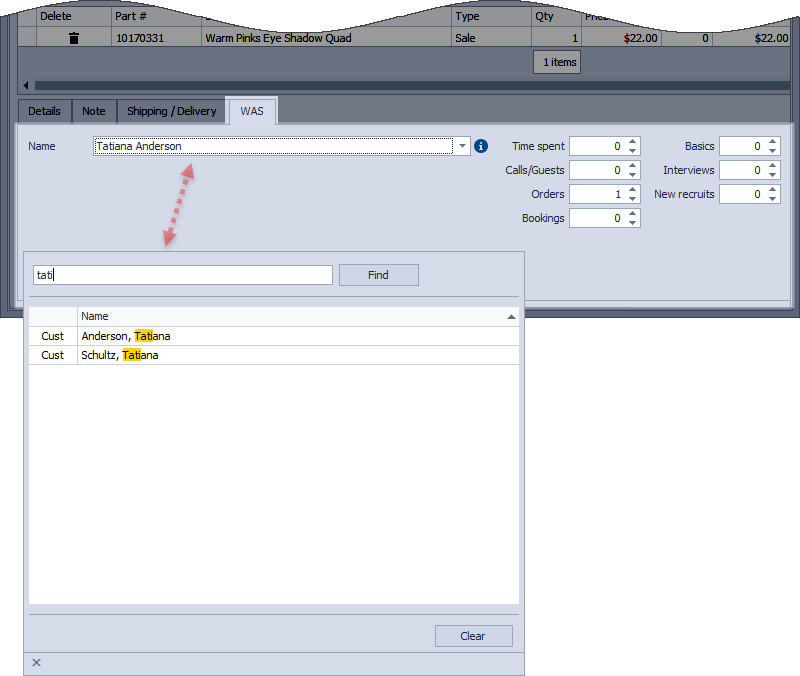 The Hostess Name field is only accessible if the invoice sale type is class, double facial or show. For invoices to be properly linked together the hostess name must be typed exactly the same on each invoice. Enter the amount of time spent on the transaction that resulted in the sale. This field is for reference only. Boulevard automatically transfers this number to the Weekly Accomplishment form. Enter the number of basic skin care sets sold. Enter the number of interviews held. Enter the number of new recruits.